I used the Dudley's Balloon digi stamp! I colored the dino with Copic markers and made a background using purple Distress ink. The sentiment is from Avery Elle. 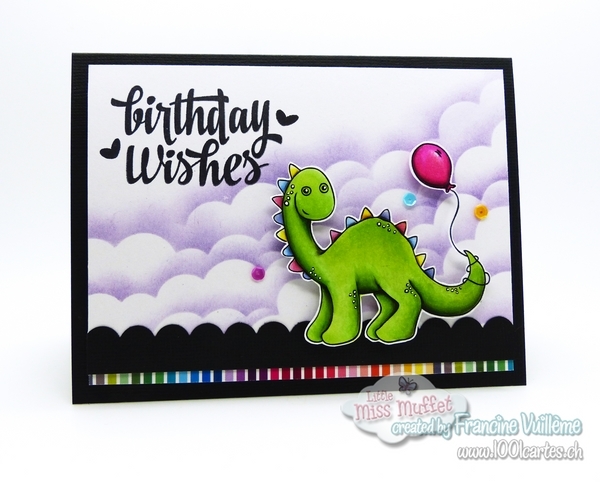 Love, love, love this - such an excellent background and I love the bright colors and Dudley is colored so great!! !